Phillip Caro's bestseller of the same name. 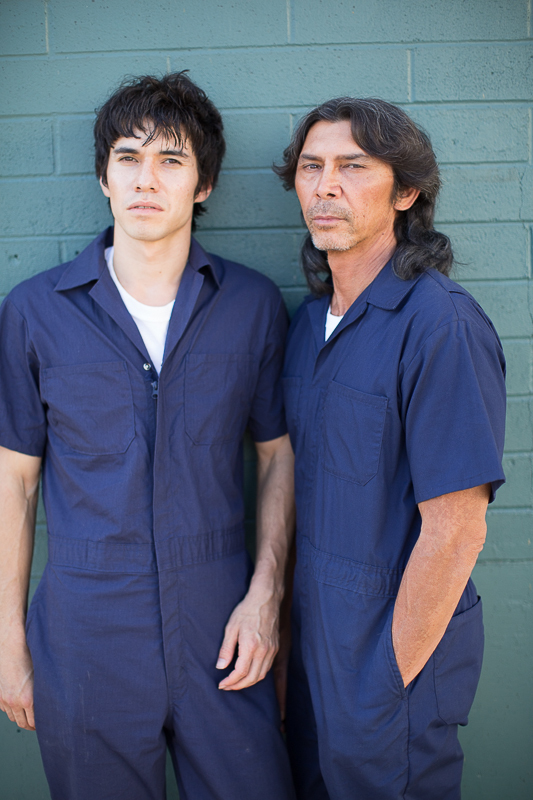 The Night Stalker, premiering on Lifetime at 8 p.m. (CT), Sunday (June 12), stars Lou Diamond Phillips as Richard Ramirez, the serial killer who terrorized Los Angeles in the mid-1980s. This “real-life” story is not a remake of Nightstalker, the 2002 flick inspired by Ramirez’s crime spree. Lifetime’s Night Stalker, based on Phillip Carlo’s bestseller of the same name, opens in June 2013 with a lawyer named Kit (Bellamy Young) visiting Ramirez in San Quintin where he’s been imprisoned for two decades. As Kit leaves the prison, she sees other women are waiting to visit with the convicted killer, too. But she’s not there as one of his fans. Kit meets with the Night Stalker to get a confession; she’s been hired to clear another convict who she believes is serving time for murders committed by Ramirez. Flashbacks retrace Ramirez’s steps in becoming the Night Stalker, but they also reveal disturbing memories from Kit’s past. “You affected my whole life,” she tells him, explaining how their lives paralleled nearly 30 years earlier. Disclosure of Material Connection: Complimentary copies of books and samples of products and services mentioned are accepted with the understanding that it will be considered for review by the editors. The editors will only recommend products which they feel are of benefit to the site/blog's readers. This disclosure is made in accordance with the Federal Trade Commission's 16 CFR, Part 255: "Guides Concerning the Use of Endorsements and Testimonials in Advertising." Some of the links in the posts are "affiliate links," meaning that if a site user clicks on the link and purchase the item, Regardless, we will only recommend products or services that we would personally use and believe will add value to our readers. We are disclosing this in accordance with the Federal Trade Commission's 16 CFR, Part 255: "Guides Concerning the Use of Endorsements and Testimonials in Advertising." This is an informational site, freely available to its visitors. No subscription or registration is offered for users to access this site. We do not collect credit card or other payment information on this site or maintain an email list. We only have access to personally identifying information if you voluntarily give it to us directly or via email. However, this information is not sold, rented, or leased to third parties. Affiliate advertising is also served by third parties. Once you click on an affiliate link or advertisement, you are leaving our website. When you make purchases through these third-party sites, you may be asked to provide your name, email address, phone number, and credit/debit card information. Please note that in such cases, you are providing information to a third party and not to James-Pylant.com. We have no responsibility or liability over how third parties that operate a linked website may collect, use, disclose, secure, or otherwise treat your personal information. We do not control these third parties’ tracking technologies or how they are used. If you have any questions about an advertisement or other targeted content, you should contact the responsible provider directly.